The Spin Doctors' 2014 started with a very special show at the Hudson Theatre in New York: the band was invited to perform a couple of Beatles' classics as part of the "Across The Universe" festival. Chris, Eric, Aaron and Mark did "I Want You (She´s So Heavy)", "Why Don´t We Do It In The Road", "I Want To Be Your Man", "Revolution" and "I Got A Feeling". A couple of these songs made it onto the setlists of the Spin's European tour in the end of February. The tour went really well, most of the clubs were packed and the band was in high spirits. As one of the most notable changes, the band started mixing up setlists a lot during the Euro run - fans were in for a lot of surprise openers or closers: how about shows that start with "Yo Mama's A Pajama" or "Traction Blues" and end with "Sugar"? The crowds really dug it and the band seemed to have a fantastic time. So, what are the band's plans for the rest of the year? Here's what Aaron told us: "Spin Doctors have some cool summer Europe festivals coming in and we're looking to book as many gigs all over as we can in 2014 so stay tuned. We are all writing a lot and look forward to bringing it all together for a new recording session sometime in 2014 for a follow-up to 'If The River Was Whiskey'." Also, rumor has it that the band is planning to release a live album this year. As always, the guys are busy with their solo projects, too. Most notably, Aaron Comess will be releasing his third solo album "Blues For Use" including original instrumental songs on May 6th. He will also appear on the new albums from German uber-star Westernhagen and singer extraordinaire Joan Osborne, both are due for a spring release. Chris Barron and his Norwegian band The Canoes are working on a follow-up to "Booze And Canoes", Chris is also planning another solo album. Eric Schenkman just released a cool blues album with Canadian harp player and singer Jerome Godboo and is also working on writing and recording material for another solo disc as well as for a second album with Openhearts Society. 2013 was a busy year for Spin Doctors: "If The River Was Whiskey", their first album in eight years, entered the Top 10 of the Billboard and iTunes blues charts. It earned rave reviews, some of the best of their entire career. Chris, Aaron, Mark and Eric have been touring heavily in support of the album since April (US in spring / summer, Europe in the fall). Setlists were heavy on "Whiskey" and "Pocketful Of Kryptonite", but the guys also treated their fans with deep cuts such as "Turn It Upside Down", "Can't Say No", "Yo Baby" or "Sugar" every once in a while. Thanks to Aaron, you can find almost every 2013 setlist in the show archive section of this site. Before the album release, we had the chance to do an in-depth interview with Aaron about all things "Whiskey". Also, the band did perform on Conan O'Brien's late night show in September and released a music video for the title track of the new album. On November 23rd, Spin Doctors will be playing a special 2-set-show at the Cutting Room in New York City. 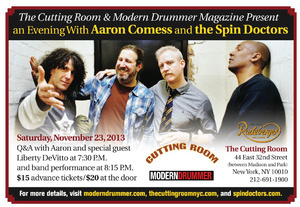 The show is billed as "An Evening with Aaron Comess and the Spin Doctors". Aaron will be doing a Q&A before the first set. For 2014, things are looking good in Spins land, too. The band will be touring Europe again in late February (making up for a couple of shows the band had to cancel this year as Chris had some vocal chord issues in September). Other than that, there is talk about writing and recording sessions and another studio album for Ruf Records due at the end of next year. So here's hoping for another year of great music and peaty spirits! Last month, Aaron told the readers of Modern Drummer magazine about his recent projects. Here are some excerpts of his post. "I’m writing you from the Spin Doctors current fall tour of Europe behind our most recent record, If The River Was Whiskey. We are having a great time over here. ... I’m going to be recording a bunch of beats for the Loop Loft that should be out by early next year. And I’ll be back in the studio in November with Joan Osborne working on her new record. ... I’m also on a track on the latest Garland Jeffreys record, a great song called “Is This the Real World.” ... I recorded legendary jazz trombonist Roswell Rudd’s new record, also out in November. And I’ll be headed down to Austin in December to do some more tracking on an upcoming Edie Brickell record. I have just started working on my next solo record of original instrumental songs, and that should be out some time in early 2014." Read Aaron's full statement here. Aaron also recorded with German singer Westernhagen. The album is due to be released in spring and will be supported by a club tour in Germany. Back to the roots: Spins release blues album "If The River Was Whiskey"
"If The River Was Whiskey", the Spin Doctors' sixth studio album and the first since their critically acclaimed 2005 disc "Nice Talking To Me", is set for a May 14, 2013 US and European release via Ruf Records, a German blues-oriented record label. "Whiskey" was recorded in Aaron Comess' His House Studio in a three day recording session last July and features pure Spin Doctors, without any additional overdubs. The ten blues songs are a mix of brand new and very old material: while the album's title track and "Some Other Man Instead" were written just last year, some other songs such as "So Bad" or "Sweetest Portion" date back to the very early days of the band in the late 80s when Chris Barron, Aaron Comess, Mark White and Eric Schenkman had to play blues bars in New York to make a living being musicians. Instead of covering blues standards, the band wrote an entire repertoire of original blues songs. 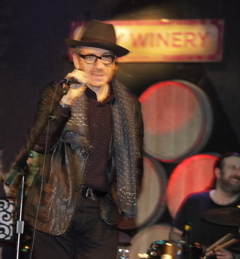 The core tracks of this repertoire are featured on the brillant new album, songs such as "Traction Blues", "The Drop", "Ben's Looking Out The Window Blues". A special treat for all old school Spin Doctors fans is the new version of "About A Train". The song was part of the 1996 album "You've Got To Believe In Something". Compared to the original song from the early days, the 1996 take had different lyrics and a a more stream lined chorus and arrangement. With original guitarist Eric Schenkman back in the band since 2001, the band revived the primary arrangement and finally recorded it. 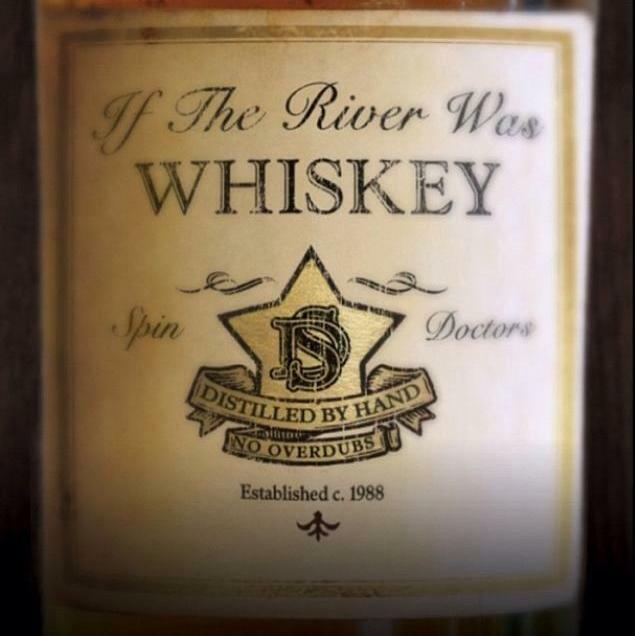 To promote "If The River Was Whiskey", the Spin Doctors will be playing lots of shows in the US this spring and summer. Another European tour is in the plans for the fall. Finally, the Spin Doctors' 2013 UK/Spain tour is about to take off! The band is exicted to play thirteen gigs within the next three weeks: nine in the United Kingdom and four in Spain. We are looking forward to hearing fan favorites from way back, material from "Nice Talking To Me" and, of course, some tracks from the band's upcoming blues album "If The River Was Whiskey". According to Aaron Comess, the new album will be released in May in Europe and the US. But if you need another good reason to make it to a show in the upcoming tour, here's what Aaron told us: "We will have a run of them to sell at the shows", so there's a good chance that you get your copy of the new album early. If you have recording equipment, make sure to bring it to the show and upload the results to archive.org afterwards. Also, make sure to send us the set list(s) of the show(s) you've attended so we can add them to our lovely little show archive - contact us via Facebook or e-mail. Well - see you in the UK or Spain, enjoy the shows and - SPIN ON! On October 13th, Blues Traveler and Spin Doctors did a show together in Port Chester, NY. Unlike the last time both bands played together (back in 2006), this time, the bands excited everyone by performing a classic "Spinning Traveler" transition from the Spin's set into the BT set. 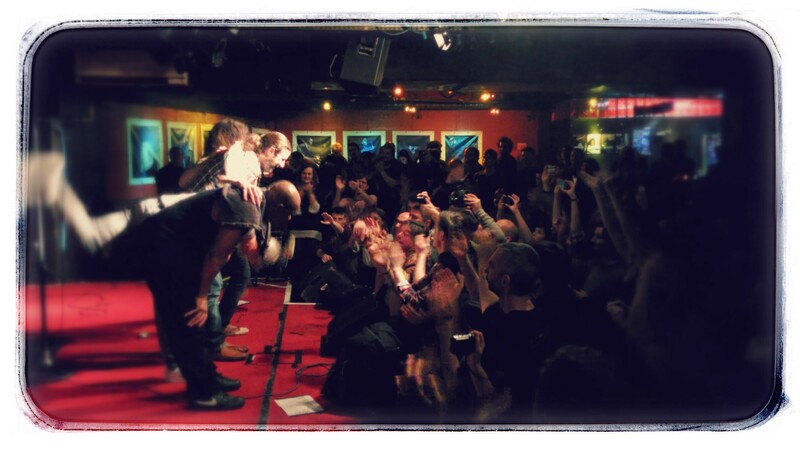 The show ended with both bands performing "Hard To Exist" together as an encore. According to everyone who was there, it was a great night of music. Make sure to listen to the recordings of this great night. 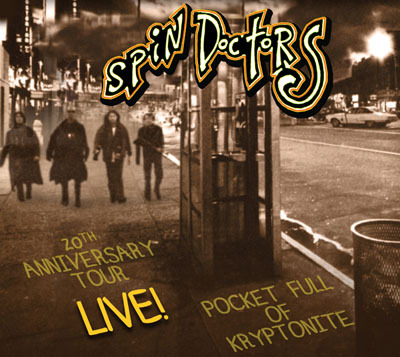 In other news, Spin Doctors added some more show dates for 2013. Right after their UK tour, the band will be touring Spain for four gigs in early February. "Some Other Man" and "If The River Was Whiskey" are brand new tunes. There is a version of "Train" on the 1996 Spin Doctors album "You've Got To Believe In Something" with guitar player Anthony Krizan which is very different from the original version with Eric that got recorded now. There are live-in-studio recordings of "Scotch" and "What My Love" on some 1994 maxi cd singles, but both songs never got proper studio treatment before. All other songs are previously unreleased, some of them weren't played live by the band since the late 80s. It is not certain whether the album recording process is completely done already or if there will be additional sessions, overdubs etc. Also, there is no release date / distibution info given yet. On July 18th, the band played a small gig in NYC to celebrate the album recording session. Do yourself a favor and listen to this awesome show in its entirety. In other news, the band announced a 9-gig-UK-tour for late January / early February 2013. Check out the dates here. More news on the new album and the tour as soon as we get them, make sure to follow us on Facebook to stay up-to-date with all things Spins. Following the release of "Pocket Full Of Kryptonite - 20th Anniversary Edition", the band finished another two successful "PFOK 20th Anniversary" tours - an US tour in October and a European tour in January. Official live albums of five shows from the fall tour are available via Rock House Live. They include live performances of the whole PFOK album in sequence and lots of interesting "deep cuts" as encores, such as "The Drop", "Gestalt's Blues" or the original version of "'Bout A Train". Check the Discography site for details. 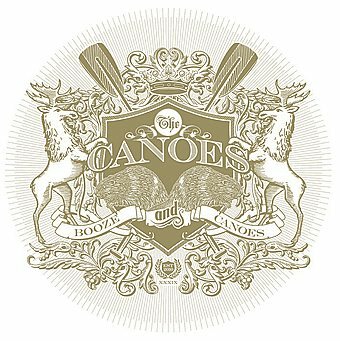 Chris' Norwegian side project The Canoes released its first album "Booze And Canoes" on February 3rd (at the moment, it's only available in Norway). The band participated in the national Eurovision semi-finals with the song "It Seemed Like A Good Idea At The Time", but did not make it to the finals. Meanwhile, Aaron finished recording an album with Joan Osborne. The blues / soul disc "Bring It On Home" will be released on March 27th and Aaron will join Joan for an extensive US tour in support of this album. In September, Aaron will be touring Germany with German rock superstar Westernhagen again. So, what's going on with the Spin Doctors in 2012? In an interview with SpinDoctors-Archive.com, Aaron confirmed that the band plans to record a blues album including material from the band's early days (So Bad, The Drop, Traction Blues, What My Love etc.). Other than that, there will be live shows in the summer and the fall. You can read the full interview on our Facebook profile. Summer is here and a lot of things are happening in Spin Doctors land. The band did a UK tour in May, performing their hit album "Pocket Full Of Kryptonite" in sequence and with the European bonus tracks (Yo Mama's A Pajama, Sweet Widow and Stepped On A Crack) as encores. During the 7-show-run, the band brought back some very old blues tunes - so the English audiences got performances of Scotch & Water Blues, The Drop (!) and So Bad (!!!). Check the recordings and the 2011 Show Archive to read and hear about the success that was the UK PFOK tour. The 20th anniversary of PFOK is the main focus for the band for the rest of 2011. Yesterday, the official press release for the PFOK anniversary edition was released, read the full statement here. Main news is that we will get the classic album, remastered with an alternative version of "Hard To Exist" as a bonus track on CD one. The second disc offers remastered versions of the "Can't Say No" and "Piece Of Glass" demo tapes plus two live tracks. Highlights for the hard-core fans are the tracks "Can't Say No" and "Turn It Upside Down (live)". The PFOK re-release will be in stores August 30th (in the US, that is). In other news, SD are playing a couple of shows in the summer (check the 2011 Show Archive for details). There will be a US East Coast tour in October including a show in New York City that will be officially announced soon. Lots of side projects are happening as well: Chris formed a side project in Norway, a band called "The Canoes". They plan on recording and releasing an album. 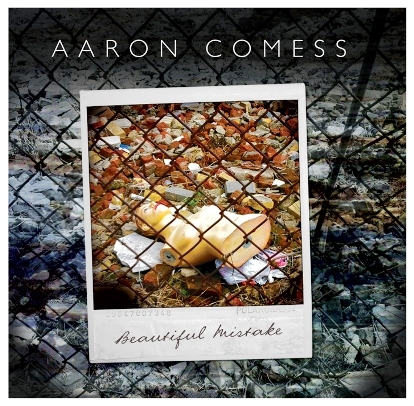 Aaron just released his second solo album - the fantastic "Beautiful Mistake". There is also new music by NYEP and James Maddock that has Aaron as producer and musician. Aaron just was in the studio doing a blues album with Joan Osborne and also a new record with Edie Brikell, so there is more good stuff to look forward to. 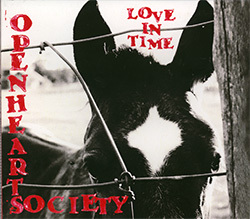 Eric's new band Open Hearts Society has a brand new website and released its truly fine debut album "Love In Time" in March. Finally, the SpinDoctors-Archive.com is now on Facebook, too. "Like" us their to get Spin Doctors news when they happen and to get links to reviews, releases and recordings. Mow B'Jow, people! 2011 Spin Doctors news update: PFOK re-release, anniversary tour, solo procjets! Twenty years ago, "Pocket Full Of Kryptonite" was released. Sony Records will re-release the classic album with some additional material such as outtakes and bonus stuff. Spin Doctors plan to do some heavy touring in the US and Europe to promote the re-release. Aaron: "Had some great gigs with Spin Doctors in 2010 and we are gearing up to get a little busier in 2011 with more shows and a 20th anniversary release of PFOK with Sony. We are going to do some shows where we play the record top to bottom. Really looking forward to that." Other than that, the band's members are also busy with their solo projects. Eric Schenkman's band Open Hearts Society plans to release their debut disc "Love In Time" in February. 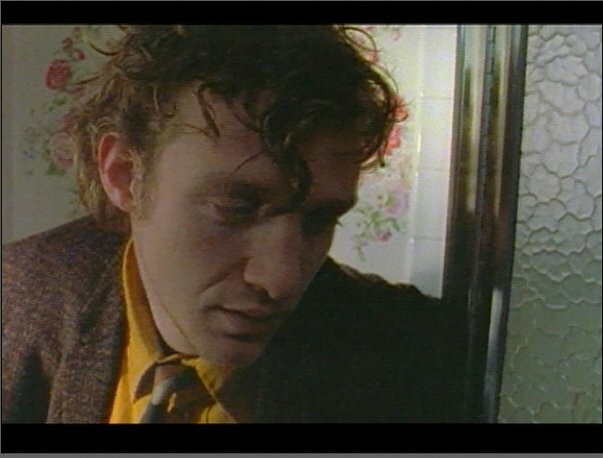 Also in February, Aaron Comess starts recording his second solo album, the follow-up to 2006's "Catskills Cry". 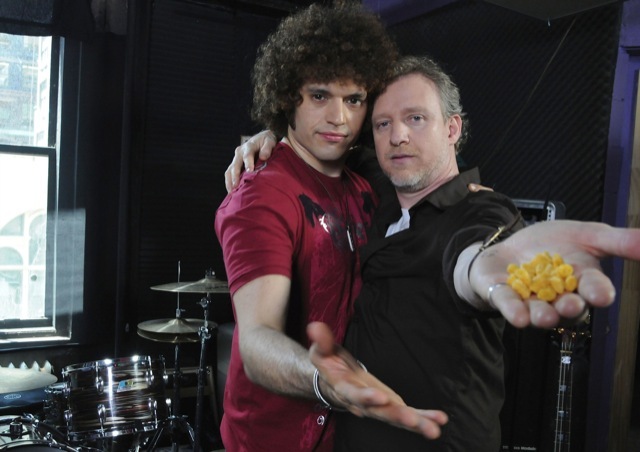 Chris Barron toured Italy with his friend Jono Manson in January and co-wrote the song "Champipple" for the upcoming album by John Popper and The Duskray Troubadours which will be released on March 1st, 2011. Additionally, Chris will play some solo shows supporting singer Thomas Ian Nicholas (of "American Pie" fame) in Denmark and Germany in March and April. More Than Meets The Ear - The Spin Doctors Archive is now on Facebook. Join us here to get all the latest infos and details first. The Spin Doctors did a little summer tour in 2010 with shows in Las Vegas, Santa Cruz and Detroit as well as some one-off gigs in the fall. 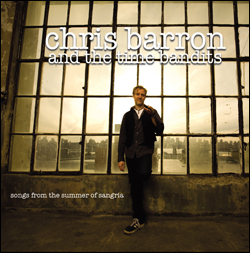 In May, Chris Barron released an EP with his solo band "The Time Bandits". The disc is called "Songs From The Summer Of Sangria" and is available digitally and physically now. Chris and the Time Bandits also did an "Iraq'n'Roll" tour playing for US soldiers in Kuwait and Iraq last summer. You can read about the tour in Chris' Tumblr blog. Aaron Comess played and recorded with a lot of artists last year, among other projects he did a Germany stadium tour with singer- / songwriter Marius Müller Westernhagen in October. Aaron: "I recorded with Paula Valstein, Brooklyn Rundfunk Orkastata, Amy Ziff from (betty), True Nature, New York Electric Piano, Mark Kostabi, Danielle Evin, Ivan Rubinstein-Gillis, Kevin Bents, Rebecca Everette, Heidi Lennox, Phil Ramone, James Maddock, Joan Osborne, The Open Heart Society and nore that I can't think of now. Played live with Spin Doctors, Marius Müller-Westernhagen, Joan Osborne, James Maddock, Chrissi Poland, Oli Rockberger, Todd Paula Valstein, Brooklyn Rundfunk Orkastrata, Smoking Joe Kubeck and Bnois King, Eddie Brikell and Heavy Makeup, Elie Weisel, Saul Zonana, Teddy Kumpel Orchestra, Seth Winters Jamar Rogers, Mighty Kate, Amy Ziff, Chris Bergson. I had the pleasure of subbing a good amount of shows for the ledgendary Bernard Purdie in the broadway music Hair." Eric Schenkman recorded an album with his band "The Open Hearts Society" which will be released in early 2011. Eric also played at the Jimi Hendrix 68th Birthday Celebration as a member of the Corky Laing All-Star Band at B.B.King's Blues Club and Grill in New York City on November 27th, 2010. Chris Barron recently invited his fans to participate in a new project called Artistshare For Songwriters. You can follow Chris in the creative process of writing a song from start to finish and witness a new song come to life. All participants get a limited edition enhanced CD of the very first recording of the new song. To join, you can buy participation offers at the project's website. In other news, Chris and The Time Bandits just started to work on a new album that is being produced by Eric Ambel. The working title is "Dancing With Your Dress On Fire" and there are plans to release a first single later this year. More details to come. Update June 2010: due to Chris' busy recording and touring schedule, the Artist Share project got cancelled. According to Pollstar and Jambase, Spin Doctors are going to play two shows in the near future: 2010-04-29, Orlando, FL @ Hard Rock Hotel and 2010-08-13, Santa Cruz, CA, Santa Cruz @ Beach Boardwalk. As soon as more dates pop up, we'll let you know about it. On March 10th, Aaron Comess and Eric Schenkman are going to play a very special show featuring some good friends at the Rockwood Music Hall. Eric and Aaron invited Andy Hess (Black Crowes, Gov't Mule), Erik Lawrence (Levon Helm Band) and Rob Clores (Black Crowes, John Popper Band, Chris Barron & The Give Daddy 5) to jam with them, Leslie Mendelson and James Maddock join the all-star line up as well. Show starts at 10.40pm, hopefully there'll be a recording of the show as this is going to be a great set of rock and soul music for sure. Notorious #9 (And Titillating 10s) is a film that was in the making for more than 20 years. On March 9, it'll be shown in public for the first time ever. Chris Barron appears in the movie, he plays a character called Eric: "a newly practicing orthopedist, who within the course of the movie, grows a beard and forms and begins touring with the band 'Four Doctors and a Receptionist.'" Here's what Chris told The Spin Doctors Archive about the project: "Milon Levine is the director of the film, I knew Milon at Bennington college and he asked me to be in his movie. It's been lying around for 20 years. Now he can finally do a screening because with the technology now he can finally get it edited. I had only one scene and, to tell the truth, it was so long ago, I don't really remember much about it." "The Notorious #9": March 9, 2010, 8pm @ Anthology Film Archives, New York, NY. Movie still by Leonard Fujiyama, taken from the „Notorious #9“ Facebook event page. Eric Schenkman is one half of a new Wolfe Island, Ontario, Canada based music project called The Open Heart Society. It's basically Eric and Canadian producer and musician Chris Brown with a couple of friends. The band will soon release an album which is still in the making. The Open Heart Society also hits the stage every so often, for example, OHS is going to appear at a benefit concert in Kingston, Canada on March 20th, 2010. It's about time for an update on what's happening in Spin Doctors land these days... Well, according to Aaron, some one-off Spin Doctors 2010 gigs are already booked for the summer, and there are more to come. Other than that, Chris Barron is busy with the Time Bandits – performing a lot with the Bandits, and the band is also recording some new stuff for another Chris Barron album. Also, Chris co-wrote a song with his old pals John Popper and Jono Manson for Popper's up-coming solo album. According to Popper, it's a song „about a popular 'Sanford & Son' beverage“. Mark White seems to be busy teaching bass guitar in Texas, and Eric Schenkman enjoys to jam with local Toronto musicians every once in a while - check this, this, this, this and this for some fresh Schenkman guitar action. Aaron Comess is as busy as always – in 2009, he performed with a lot of local and national artists – from up-and-coming talents such as Danielle Levin and Katy Pfaffl to rock'n'roll legends like Elvis Costello and Tony Levin. In spring 2010, Aaron will tour the US with Joan Osborne once again, and in September and October of 2010, he'll be part of Marius Müller Westernhagen's touring band. Westernhagen is a best-selling German singer who will tour in support of his latest, New-York-recorded disc "Williamsburg". Check back regularly for more news on the Spin Doctors, all the solo projects etc. There is now an official Chris Barron section on the Live Music Archive, thanks to Chris, his manager and Dave Mallick. Besides some early 1988 CB solo shows, you can also stream and download recent Time Bandits performances from May 2009, with John Popper of Blues Traveler and Mike Gordon of Phish sitting in with the Time Bandits. During those recent shows, Chris and the band also debuted some brand new songs with titles such as „Dancing With Your Dress On Fire“, „Phony“, „What's Eating You (Alive)“, „Darken My Door“ and „Stone's Throw“. Most of the songs were written by Chris, „Phony“ and „Darken“ were co-written by the Time Bandits. Chris told SpinDoctors-Archive.com that he's very happy with the new material and plans to record and release it once "Pancho And The Kid" got the promotion it deserves. To browse the new Chris Barron section on the LMA, click here. Chris Barron's critically acclaimed album „Pancho And the Kid“ is now available in record stores all over the world and online (record company, iTunes) through Valley Entertainment. To promote the long-awaited release (Chris released it independently in 2006 for the first time), Chris is currently doing a lot of shows with his band „The Time Bandits“ – touring the US east coast and NYC mostly, but also Spain. According to his new website, Chris will also be part of the „Iraq & Roll“ tour in August, performing at US military bases in Iraq. Check out Chrisbarron.com for a schedule of Chris Barron solo and Time Bandits shows. After they did some one-off shows in May, the Spin Doctors will be going on a small summer tour in July. According to Aaron Comess' Myspace tour calendar, the band will be touring for about a week in mid-July. For Spin Doctors tour dates, check out Aaron's Myspace site. Additional tour info provided by fans is available in this thread at the official SD message board. Wanna hear some new stuff featuring Aaron Comess on drums? Then we highly recommend to check out the music Aaron is performing with long time friend and collaborator Teddy Kumpel (Teddybut). Teddy is playing regularly in New York City, and every once in a while, Aaron joins him and other great NYC musicians. The best thing: Teddy records his shows and makes them available online for free for our listening pleasure. Make sure to check out some of that stuff at Teddyjam.com. Two new releases featuring Spin Doctors band members are available now. Jeff Cohen's band Pancho's Lament just released its 3rd album "Three Sides To Every Story" including Aaron on drums for one song and Chris on backing vocals. Also, True Nature's EP "Feels Like Century" is out. This one features Aaron on drums and producing and Chris on vocals, too. Check the discography section for album details and orderin information. What are the plans for Spin Doctors and its members for 2009? SpinDoctors-Archive.com was able to do a short interview with Aaron Comess about what to expect from the Doctors this year. If they exist, what are the "Spin Doctors plans" for 2009 - touring, recording etc.? Aaron Comess: We usually start receiving gig offers in the next few months so hopefully they will come in and we will be available to do them. There is already talk of some gigs in Norway for the summer. No recording plans for the immediate future but we have talked of doing some writing sessions this year so we will have some new material should we decide to record. We all love the doctors and will keep it going for sure. With Mark being the new bass man for the Heavy Pets and you and Chris having all your solo projects, is there still enough time for the Spins? AC: Speaking for my self I have always been able to juggle my other work with the spin doctors. Hope fully we can all keep that going and the other projects will not interfere to much. Do you have any ideas what Eric Schenkman is doing at the moment (besides farming)? Any musical projects? AC: I know Eric does the occasional gig or session in Toronto.im sure he is keeping busy with music and is always growing as a player. You're involved in a lot of solo projects and collaboration work. Which one do you look forward to the most? AC: I am lucky to get the opportunity to play with so many great musicians and songwriters. I try to put as much effort and care into all of the projects I do. Do you know when the True Nature album featuring you and Chris will be released? AC: I think that is coming out very soon. That was a fun project and the record came out great. Update: The True Nature EP is out now (see news above). Also, Mark White recently sent a message to all Spin Doctors fans on Facebook: "Just would like to say thanks to all our fans. We'll be doing some fancy live shows this summer, so get ready!!!" Today, a new Spin Doctors "Best Of" compilation was released in the USA. 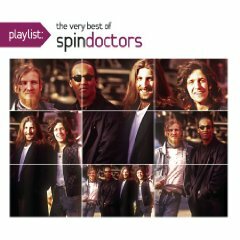 "Playlist: The Very Best Of Spin Doctors" is the first "best of" that features tracks from "Nice Talking To Me". From the product description: "Not just the hits, but...the life-changing songs. The out-of-print tracks. The fan favorites everyone loves. The songs that make the artists who they are. You'll no doubt enjoy the sound of the beautifully remastered songs on this CD, unlike the compromised sound of an MP3 file. (...) But we think the thing you'll appreciate most about this Playlist is that even though you didn't make it, you might wish you did. Full liner notes, photos, and more included as a PDF file on this CD." It's available as CD or mp3 download from Amazon. Mark White is the new bass player for Florida based jam band The Heavy Pets. According to the band's official website, he replaces founding member Joe Dupell starting January, 13th. Also, Mark and the band The Might Orq parted ways in November. On TMO's website, you can find the following statement: "We would like to let everyone know that Mr. Mark White is no longer playing with us. We wish Mark only the best in all of his future endeavors". Mark himself indirectly confirmed the news on his newly launched public Facebook site, where he describes himself as being the "current bass bubble for The Heavy Pets. Former and pissed off member of The Mighty Org." While Mark White is preparing and playing shows with this new project The Mighty Orq in the US and Europe in fall and winter (see Mark's Myspace for tour dates), Chris Barron is writing and recording with Norwegian artist Eric Roe (also, check out Chris' new Youtube channel for some funny videos from Norway). In October, Chris joins Blues Traveler as solo opening act for two nights (October 19 at the Stone Pony in Asbury Park, NJ and October 23 at the Chance in Poughkeepsie, NY) - and he will be the opening act for Suzanne Vega in November (Nov 13, Stamford, CT), too. Aaron`s playing a successful tour with Joan Osborne to promote her brilliant new album "Little Wild One". Also, some of his 2007/2008 studio sessions are now available on CD - check out the AC solo discography to learn more about Aaron's contributions to the latest Saul Zonana, Roman Klun and New York Electric Piano releases - all of them are highly recommended. Chris Barron will have a cameo appearance on the new IFC music comedy show Z Rock that debuted last week. According to his latest newsletter, Chris is in episode 9 which airs October 19th. Also, Chris' friend John Popper of Blues Traveler will have several "Z Rock" cameos during the entire season, too. Other stars to guest on the IFC program are Dave Navarro, Joan Rivers and Sebastian Bach. You can watch a trailer of the show here, photo taken from Chris's e-mail newsletter. Spin Doctors bass player Mark White has joined the Houston, TX based band The Mighty Orq. The band just split with their latest bass player and invited Mark to join them. They are doing a lot of gigs recently, as they release a new album ("To The Bone") on September 5th. From The Mighty Orq's Myspace blog: "The new bass player in The Mighty Orq is Mr. Mark White. He is in the band the Spin Doctors. We have been having a lot of fun playing w/ Mark and we hope that y'all can experience a live show soon. We are all excited about how the songs have been sounding and the crazy directions that we're heading in." Appearantly, Mark is not playing on their up-coming release as this one was recorded before he joined the band. In addition to a lot of shows in the US within the next months, The Might Orq will play in Germany and Austria in November and December. For a full touring schedule, check this site. Mark joining this band doesn't mean he leaves Spin Doctors, he's doing TMO in addition to the Spins (just like Aaron and Chris having individual projects). But it's no secret that Mark is not too happy about the current situation with SD just playing a few shows each summer, so TMO might be Mark's main focus at the moment. As the Spin Doctors one-off summer shows of 2008 draw to a close this week (check the Live Music Archive for four recent recordings, by the way), Aaron Comess will once again join Joan Osborne on the road. Aaron will play drums during her 25+ gigs throughout September and October. For a full tour schedule, check out Aarons Myspace. Appearantly, New York Electric Piano (NYEP), one of Aaron's many projects, have finished their next album. It will be titled "King Mystery" and is most likely to be released in this year's fall. "King Mystery" is NYEP's fifth full album release, you can listen to or download four tracks from the new disc already on Myspace. Go see the Spin Doctors live this summer! After a phenomenal 2008 live debut in Girona, Spain that offered setlist surprises such as "At This Hour" and "More Than She Knows", the Spin Doctors announced more 2008 summer gig dates at their official website. For instance, the band will perform at a Bill Graham Foundation benefit show at The Fillmore (Irving Plaza) in New York City with Chan Kinchla and John Popper of Blues Traveler on the bill as well (May 27). In July, the Spins support heavy metal legend Poison for a show in Greeley, Colorado. For a complete and up-to-date list of all shows, check the official web site (direct link to the gig list). Almost two years after Chris started to sell hand-made advance copies of his second solo album "Pancho And The Kid" at live shows, the disc is available online now. eMusic already offers mp3s of all the songs, iTunes might follow within the next days. According to Chris, the CD version of the album will be available via CD Baby very soon. Check back often for updates. 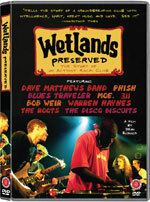 The music documentary Wetlands Preserved portaiting the legendary Wetlands music club in which Spin Doctors recorded their releases "Up For Grabs" and parts of "Homebelly Groove" will be available on DVD around April 4th, 2008. The critically acclaimed film debuted at the Green Movie Festival two years ago. "Wetlands was one of the hottest venues for underground music in New York City. This former Chinese food warehouse just south of the Holland Tunnel hosted the latest upand- coming artists in every musical genre. But it was more than just a rock and roll joint – it was also the first ‘activist nightclub’, a place as devoted to environmental and political issues as it was to partying and great music. This entertaining and insightful documentary tracks the history of Wetlands, featuring interviews and concert footage with artists like Dave Matthews, Warren Haynes (Allman Brothers Band), Bob Weir (Grateful Dead), Phish, and Blues Traveler." To (pre-)order the DVD that includes some rare Spin Doctors footage, visit the First Run Features website. Spin Doctors will perform a show in Europe this spring. The band plays Black Music Festival in Girona (Catalonia, Spain) on April 12th. This is the first European show since the 2005-03-18 show in Prague, Czech Republic and most likely the only one for a while. Check the festival's website for details and tickets. Also, the Spin Doctors announced some summer US show dates as well, check out the band's Myspace for more information. Chris and the Time Bandits performed some tracks for the Woozyfly website in NYC's JSM Studios last September. The videos for "Brokenhearted Serenade", "Heartbreak Boulevard", "Can't Kick The Habit" and "I Know You Know" are available now at the Woozyfly website as well as a 9-minutes interview with Chris. Also, Woozyfly hosts footage from the Time Bandits' "Southern Fried Tour" in December that is available from Chris' Myspace as well. 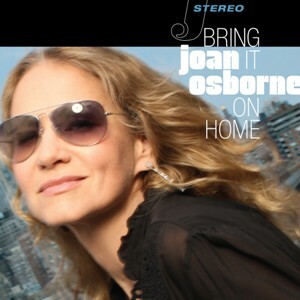 Q: There are rumors about a Joan Osborne UK tour in Feb with you on drums, are the rumors true? Aaron Comess: "True... I am going to be doing a short 3 gig tour in England with Joan... I think it is London, Manchester and somewhere else... The dates are Feb. 4 5 and 6 I believe... Sorry I don’t have the exact info." With you being busy in studio and Chris being busy with his solo record and the Time Bandits, what is the perspective for Spin Doctors in 2008? AC: "No real plans for the band this year except to keep it together and play some gigs when we are all free. There has been some talk of doing some short club runs if we can get it together. We all love being in the spin doctors and have no plans on not doing it in the future." In a Myspace comment, Chris answered the question "have we seen the last SD album" with "no". Is there anything more that you can / want add to that? AC: "No plans to make another record at this point but I'm sure the time will come when we will again." What is Eric doing except farming? It's hard to keep up with his stuff as he isn't exactly an "online" person... Can you help us? AC: "Eric does some gigs and sessions up in Canada and continues to be one of the best rock guitar players on the planet in my opinion." What are the next CD/download releases featuring Aaron Comess? AC: "I just did a record with an artist names Carrie Rodriguez for blue note with Malcolm Burn producing. We are doing a few more tracks the first of the new year. He is a really terrific artist in the Americana vain. Keep an eye out for her. The record will be released this spring. Another NYEP record is in the can and will come out some time this year. Going in the studio with Saul zonana and Leslie Mendelson in January for their records to be released later this year as well." "I have been in the studio with Ivan Rubenstein Gillis, Danielle Evin, Rachael Yamagata, Adam Howard, Jeff Cohen, James Maddock, Kevin Bents, Jonah Smith and Susan Cagle. Will be doing a record the first 2 weeks of December with a great artist named Carrie Rodriguez upstate with Malcolm Burn producing as well as another New York Electric Piano record the end of November. Been doing live dates with Spin Doctors, Joan Osborne, Danielle Evin, James Maddock, Chris Bergson, Susan Cagle, Bacon Brothers, Erik Lawrence, Seth Winters and will be playing with local guitar extraordinaire Jim Campilongo in November for a few shows. I'll also be performing on the Today Show on Nov 21 with Natasha Bedingfield." Chris did a lot of touring with his new band The Time Bandits, which - in its current incarnation - consists of Jon Loyd (keyboard, vocals), Phil Cimino (drums) and Brett Bass (bass). To watch some footage of the Bandits' recent "Southern Fried Tour", click here (hint: in the fourth video, you can see snippets of a new and unreleased song called "Stone's Throw"). In other news, Atmosphere Lounge in Fort Lauderdale, Florida released a DVD of a Chris solo show from March 2007. For details on this release, go to the Chris solo discography. What about Eric, you ask... Well, according to the band's Myspace, he's happy as the band's "lead farmer". And indeed: even sd-archive.com can't offer any more news on Mr. Schenkman other than he's still playing guitar with the band every now and then. Aaron update: Busy as always..., "2007 Doctors shows possible"
Not only Chris, who recently formed a new band to join him on his solo shows (see story below), Spin Doctors' drummer, Aaron Comess, is busy as hell at the moment, too. On January 20th, Aaron will be performing on US national television - he will be playing with Danielle Evin on the CBS morning show "Second Cup Of Coffee". It seems that Aaron will continue working with Danielle - a show with her and Aaron at Sony Studios is scheduled for January, 31st and most likely, Aaron might end up playing drums on a few tracks for a Danielle Evin album, he told SD-Archive.com. "I'm also playing out at the Sundance Film Festival with the very talented Relix recording artist Jonah Smith on Jan 24th. Some cool local gigs in town with Adam Matta, Chris Bergson, Ivan Rigar, Saul Zonana and James Maddock this month as well. And I'm happy to be doing a gig on Jan 29th at the Living Room in NYC with one of my favorite people to play with - Swati. Been in the studio recording for Brian Speaker, Patty Rice, James Laboz and getting ready to do produce and play on more tracks with Lou Barlow with a slamming band featuring Tony Levin and Gerry Leonard in late Feb as well as Roman Klun's new record." Furthermore, Aaron told SpinDoctors-Archive.com that some of the tracks he recorded with James Maddock are available on James' MySpace site at the moment. Althogether, Aaron and James recorded about six or seven tracks together - it is not decided when or where those tracks will be released. Check back often for details. Finally, SD-Archive asked Aaron about 2007 Spin Doctors live shows. Here's his answer: "I am sure some doctors dates will come in...usually things pick up in the spring summer...it just seems to not be as full time a thing right now but that does not mean we will not be doing shows again soon...i do hope so myself." Chris Barron of the Spin Doctors is playing gigs with a new backing band recently: Chris Barron & The Time Bandits is Chris (vocals, guitar), Phil Cimino (drums), Jon Loyd (piano), Lance Doss (lap steel) and Tim Givens (upright bass). These days, the CB & The Time Bandits perform in small NYC clubs mostly, mostly playing material from Chris' solo records "Shag" and "Pancho And The Kid". The band just launched their own MySpace site - click here to visit it. 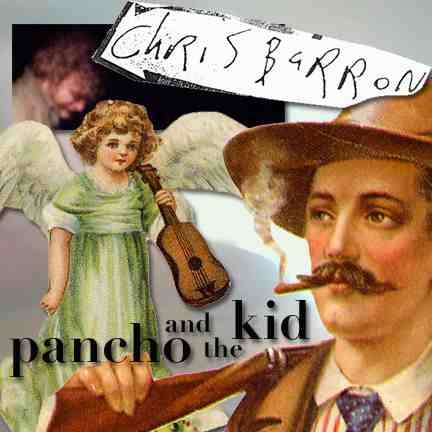 Also, "Pancho And The Kid", Chris' highly anticipated second solo album, is available at his live shows now. 1:30-3:30: Greenwich Village Funeral Home, 199 Bleecker Street (between Macdougal and Sixth Avenue). 4:00-7:00: Art Bar, 8th Avenue between Jane Street and W. 13th Street, informal gettogether. I am sitting here thinking about a few memorable moments in which Sean and I acknowledged we were privileged to be part of such a powerful and inspiring musical world, among them the Blues Bake in Greenwich, Connecticut, in 1990, and a show on Sean's 30th birthday at the Warfield in San Francisco. But there were so many. I look forward to seeing some old friends at the Art Bar this Thursday and sharing some laughs and memories. Please pass on the news to anyone you think would be interested." 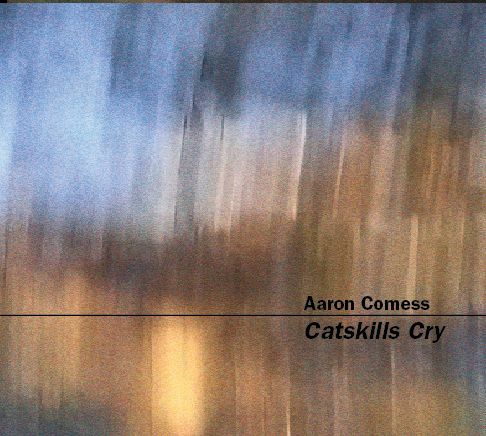 Aaron Comess' solo debut album "Catskills Cry" is out now - and it gets rave reviews on the internet. Get it as soon as you can, it's really good. In other news, Aarons' friend Saul Zonana released a new album as well and it features Aaron on drums on a few tracks. Read more about both albums at the Aaron Comess solo discography. Aaron is busy playing a lot of shows with his various projects in NYC and he'll be joining the Bacon Brothers for a one-week-stand in Tokyo's Blue Note theatre. On his website, Aaron announces that he's involved in a few new studio projects as well - more infos on Aarons contributions to new releases from artists such as Lou Barlow and James Maddock can be found on his recently redesigned website. New York Electric Piano's next album called "Blues In Full Moon" was recorded earlier this year and will be in stores around February 2007. Besides the ever-busy Aaron Comess, another Spin Doctors member is playing a lot of shows at the moment: Chris Barron played Ireland and Spain this summer, and he's doing a lot of shows in the NYC area this fall, performing songs from his brilliant, but yet-to-be-officially-released new album "Pancho And The Kid" (see news entries below for more details). At the moment, no Spin Doctors shows are planned - no surprise considering the busy schedules of Aaron and Chris because of their solo projects. Most likely, the band won't tour again before spring 2007. Spin Doctors drummer Aaron Comess will release his first solo album "Catskills Cry" on October 31st, 2006. The all-instrumental disc will be distributed in the US via Saul Zonana's label 2020 Music / Red Eye Distribution. Additionally, Aaron releases "Catskills Cry" independently online: the album will be available on iTunes, Amazon and CD Baby. You can listen to three of the tracks on Aaron's completely reworked website: click here. To read a review of the album, click here. The 05-26 show that had Spin Doctors sharing the stage with Blues Traveler for the first time since 1994 was a real treat for old-school fans of both bands. While BT's John Popper jammed along with the Spins on "Two Princes" and made this one a version to remember, Eric Schenkman joined BT later that night for a rocking "Mulling It Over". During BT's encores, Chris Barron came out and improvised "Cleopatra's Cat" and all the BT band members joined him. Recordings of both sets (SD and BT) are available in various formats, make sure to check out our download section for recordings of this evening full of truly great music. The CD is a brilliant mix of typical uplifting Chris pop songs (Heartbreak Boulevard, Stars, I Must Be The King) and stunning ballads (Can't Kick The Habit, Shades Of Yesterday, Pretty As A Picture). It's full-band. And it's about time to get this album released. It rocks! To hear some songs off the album, check out our exclusive Chris Barron live show downloads (two full shows). In other news, the Spin Doctors don't do a proper summer tour this year, but they're playing some one-offs every now and then. Chris and Aaron are busy playing solo shows during the summer, as well. In other news, Chris Barron revealed some details about his next solo album in his newsletter today. Appearantly, the disc, which is a collaboration with singer/songwriter Jeff Cohen, is finished and ready to be released and will be titled "Pancho And The Kid". To listen to two songs which most likely will be on the album ("Heartbreak Boulevard" and a new version of "Can't Kick The Habit"), visit Chris Barron's MySpace site. Spin Doctors drummer Aaron Comess will release his debut instrumental album, tentatively titeled "Catskills Cry", in mid-2006. It features Aaron on drums and guitars along with Lony Levin on bass and Bill Dillon on guitar. According to Aaron, the album will be available in summer - but you can listen to some sample tracks already. And you should as it's great stuff! Check out Aaron's MySpace site and enjoy the tracks "Future" and "Catskills Cry". Here's a short round-up on what's new in Spin Doctors land. The band kicks off the 2006 live season with a show in Indianapolis on March 31st. So far, no 2006 summer tour has been announced. But given the fact that there are some confirmed tour dates already, it is highly possible that a complete touring schedule will be announced soon. As always, check the official site for gig news. Other than that, Aaron and Chris have been very busy lately: as reported earlier, Chris did some solo shows in NYC and supported the Bacon Brothers in March. On his new MySpace site, Chris Barron announced that he has almost finished a new solo album which will mainly contain of songs the singer has written together with Jeff Cohen (who also co-wrote Spin Doctors' 2006 comeback single "Can't Kick The Habit"). The yet untitled disc will include some of the songs Chris performed in his recent solo shows, such as "Louisiana Holiday". Chris told The Spin Doctors Archive that the album will feature some guest musicians; unlike his 1998 solo effort "Shag", Chris will be backed up by a full band this time. So far, no release date has been announced. 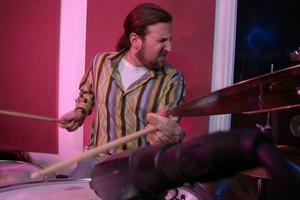 Newly-wed Spin Doctors drummer Aaron Comess is working on two studio projects at the moment. Aaron recorded the fourth New York Electric Piano album, tentatively titled "Blues In Full Moon", earlier this year. He is also working on his first solo album (check out the reports below for details). Aaron told The Spin Doctors Archive: "I am very pleased with both records. This is a great ny electric record - the best since the first for sure, and even better in alot of ways i think... I am also very happy with my own record." As with Chris' up-coming solo disc, no release dates for NYEP and Aaron's solo album have been announced yet. Both Aaron and Chris will support the Bacon Brothers at some of their live shows within the next few weeks. Aaron Comess will be playing drums for the brothers on February 18th in Ridgefield, CT.
Chris Barron is the Bacon Brothers' support act at the White Plains gig as well as for the following March 2006 dates: Thursday, March 16th, Sellersville, PA; Friday , March 17th, Alexandria, VA and Saturday, March18th, Flushing, NY (Queens Theatre In The Park). For more information on the Bacon Brothers, click here. Chris Barron, the singer of the Spin Doctors, continues to play solo shows at New York's Sidewalk Cafe: as he did in January, Chris will be also playing shows there in February 2006. 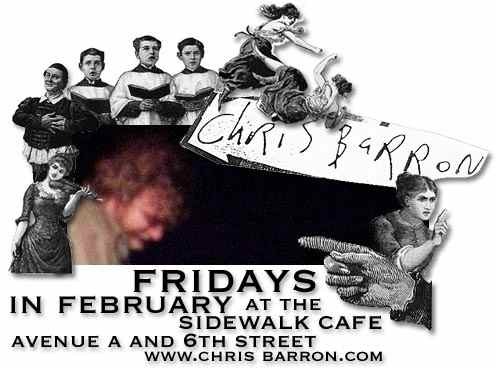 From the most recent Chris Barron newsletter: "Here's what Gabriella Kerson of JamBase says about Chris Barron's friday nights... 'Chris Barron's show at the Sidewalk Cafe is a delightful surprise at the end of any week. His upbeat, outgoing personality, insightful lyrics and yummy voice create a space of calm, laughter and comfort. Kind of like visiting with your best friends.'" Check the Sidewalk Café website for more details on Chris' February solo stands. Other CB solo appearances: Monday, February 6, 2006 at 7pm at the Songwriter's Circle at the Bitter End - Bleeker Street and Laguardia, NYC, NY and Wednesday, February 15, 2006 at the Bluebird Cafe - Nashville, Tennessee. In other news, here are some details about Aaron Comess' up-coming solo album. Here's what Aaron wrote on his website: "For a long time, I have wanted to write my own record, and it’s finally happening at the beginning of next month [February 2006, sd-archive.com]. I have two amazing and gifted musicians playing with me: On guitar, Bill Dillon. Bill has played on hundreds of albums, including all of Robbie Robertson’s. He is one of the most creative and one of kind players I have ever heard and played with. Tony Levin will be playing bass. He’s also a creative and incredibly gifted musician. He’s best known for his work with Peter Gabriel and King Crimson." The new year starts with some good news for all people interested in Aaron's solo projects: the Spin Doctors' drummer is recording another New York Electric Piano album in January (this will be the fourth album by the band including Aaron, bass player Tim Givens and piano wizard Pat Daugherty). In February, Mr. Comess starts the recording of his first solo album! Aaron told SpinDoctors-Archive.com: "[..] I am finally doing my own solo record the first week of febuary. [...] i have a wicked group together and i think it is going to be really cool. I am very psyched about it [...]" More details about this project will be revealed soon on Aaron's website. Also, there will be some Spin Doctors shows this year. Aaron: "Don't worry ...the doctors will be out there playing again soon..." So have a great new year, everyone! Great news for all NYC Spin Doctors fans - coming directly from Mr. Barron: "Chris Barron, lead singer of the Spin Doctors, will be playing solo acoustic shows fridays in january 10pm at the sidewalk cafe, (avenue A and 6th street, new york city). admission is free whether you wear a propeller beanie or not." Support Chris and attend his solo shows - and if you go there, don't forget to bring along your recording device! Traditionally, CB solo shows are very entertaining and full of rare and new material. To learn more about Chris' solo work, check out his solo discography. In other news, the Spin Doctors plan to tour again in 2006 - there are rumours about another European tour. But at the moment, nothing is official on that. For tour dates, check out the Official Spin Doctors Forum. The Spin Doctors song "Can't Kick The Habit" will be included in the Original Soundtrack to the new 20th Century Fox movie "Grandma's Boy". Besides the Spin Doctors, acts such as Aphex Twin, Bloc Party and Fischerspooner contributed to the soundtrack. Luckily, it's the full 8-minutes version of "Can't Kick The Habit" that will make it to the soundtrack (as opposed to the edited single version). "Can't Kick The Habit" is taken from the band's recent album "Nice Talking To Me". "Grandma's Boy OST" will be released January 3rd, 2006. For more details, please visit the Compilations page within the Discography section. Sad news: US-Singer Chris Whitley passed away a few days ago at the age of 45. Spin Doctors drummer Aaron Comess contributed to his last album, "Soft Dangerous Shores", which was released this summer. Along with Arnie Lawrence and Frankie LaRocka, who also were friends with Spin Doctors and its members and passed away earlier this year, Chris Whitley's death is the third sad loss this year in the extended Spin Doctors family. Rest in peace, Chris. Fellow Spins fan Lobster uploaded some great classic live recordings to the Live Music Archive that are now available for download. Check out a pre-Mark White show from April 15, 1989 featuring John Popper and others, a cool recording from a private pool party the Doctors played on July 27, 1991 as well as very interesting tapes from the Wetlands, NYC on February 16, 1992 including a nearly-90-minutes set. To download the shows, just click on the links to the Live Music Archive given in the single Show Archive database entries. By the way, to get a list of all permanently available Spin Doctors live shows, just go to the Show Archive main site and type "download" in the "Setlist/details" field - we're trying to keep it as up-to-date as possible for you. New Sandra Boynton album featuring Spin Doctors out now! The new book/cd-package by well-known children's book author Sandra Boynton was released recently. It features songs performed by artists such as Blues Traveler, Hootie And The Blowfish, Weird Al Yankovich and Spin Doctors. The record release party for "Dog Train: A Wild Ride on the Rock-and-Roll Side" took place as a private show at Times Square, NYC on November 2nd. Spin Doctors contributed to the album by performing the song "Tantrum". To read more about the album, check the Spins Discography. 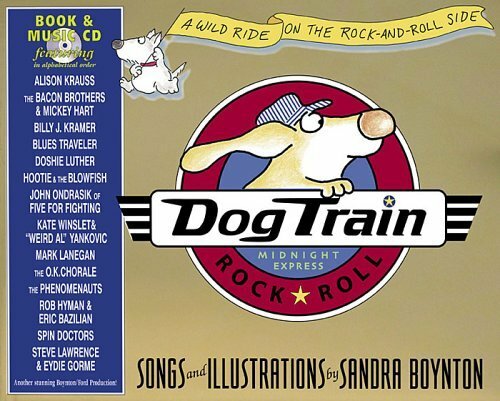 To buy "Dog Train", click here. "Nice Talking To Me", the Spin Doctors' latest album (see below), is out now for a bit more than a month, and overall, it gets pretty good reviews in the US music press. At the official Spin Doctors forum, we started a thread that tries to cover the NTTM media reactions. Click here to read the review collection - if you can add articles that aren't mentioned over there, please feel free to do so by posting to this very thread. On another note: although there are not too many public concerts scheduled at the moment, the band is busy at the moment with playing some corporate gigs, radio shows and private gigs. To find out about up-coming Spin Doctors shows, check out this site. 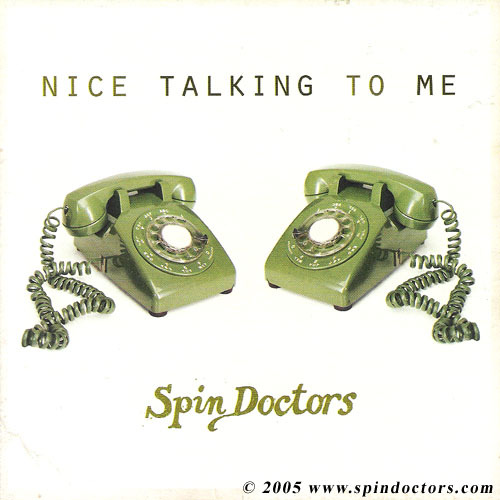 "Nice Talking To Me", the title track from Spin Doctors' latest album, is the next single. So far, it is only released as a promotional 1-track CD single including an enhanced section with portions from the Bonus-DVD that was released with the full length album. The song can be heard on the bands MySpace site (see Links section to get there), and there are plans to release "Nice Talking To Me" as a regular single - no details available about that by now. Latest album "Nice Talking To Me" out now! 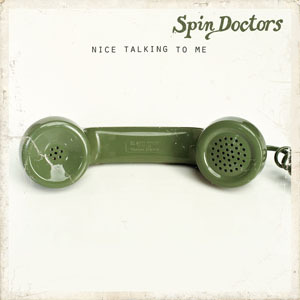 The brand-new Spin Doctors album "Nice Talking To Me" is available now in the US! A wonderful collection of ten songs, produced by Matt Wallace (of Marron 5 and Faith No More fame). Includes an additional DVD with live performances and a short documentary. Get "Nice Talking To Me" from your local record store or from the band's new eStore (see news story below). 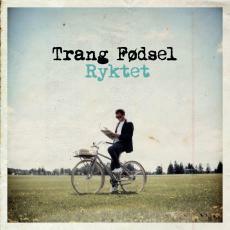 For details about the new album, check out the Discography section. If you want to find out what the band thinks about the new disc, click here for an exclusive and detailed interview with Aaron Comess. If you want to read some of the (overall very good) press reviews, go to this thread on the Official Spin Doctors forum. For fan reviews, check out this thread. You can pre-order your copy of "Nice Talking To Me", the new Spin Doctors album, right now from the all-new Spin Doctors eStore at The Connextion. You can also get some current band merchandise there. Check out this thread from the Spins forum for details, or use this link to visit the eStore. Last Friday, The Spin Doctors Archive had the chance to interview Aaron Comess, the Spin Doctors' drummer. We had a great time talking about the new album, the band's future plans and much more. So if you want to know how "Nice Talking To Me" became the title track of the new album or what's on the DVD part of the new album, check out the interview! Read about what to expect in the near future, about Aaron's solo projects, the current setlists and much more! Click here to read the entire interview. New Spin Doctors album in stores September 13, 2005! It's official now: "Nice Talking To Me", the first Spin Doctors album since 1999 and the first album with the original line-up since 1994, will be released on September 13, 2005 in the US. It includes ten brand new tracks (see tracklist below) and an additional DVD featuring live performances and behind-the-scenes footage from the March 2005 European tour. "Nice Talking To Me" is the first Spin Doctors release for RuffNation Records, distributed via Fontana Distribution. RuffNation's first release for distribution through Fontana is The Spin Doctors album "Nice Talking To Me" that is scheduled for release in September. 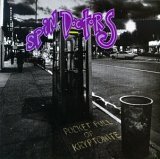 The Spin Doctors are currently on a North American tour in support of the album's radio single "Can't Kick The Habit." The Spin Doctors album will also include a live performance DVD that will be included in the CD album packaging. In other news, there's a cool article about the Spin Doctors at thedailytimes.com. It's about Chris' paralyzed vocal chord, the band's reunion and the recording process of NTTM. Click here to read the full article. "Can't Kick The Habit": New single for free, summer tour, new album! The first single from Spin Doctors' forthcoming new album is available now as a free mp3 download at the band's official website. "Can't Kick The Habit" is the name of the track, a great emotional ballad which became a fan favorite during the Euro tour in March. 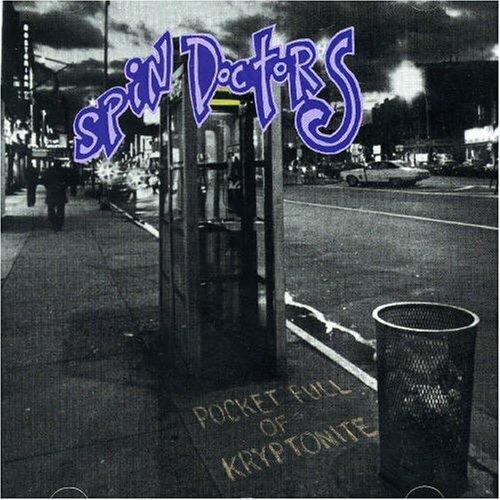 It's the first single of the original Spin Doctors since "Mary Jane", which was the third single off "Turn It Upside Down", released in fall 1994. So just follow this link, register to the great forum, and get the beautiful new track "Can't Kick The Habit". Don't forget to request that song at your local radio station this summer! You'll also find all new US concert dates for July, August and September - the band is touring a lot this summer! Also, the band announced details about the up-coming album release "Nice Talking To Me". The album will be available as a DualDisc which means the one side of the disc includes the all new album and the other side of it contains DVD material including video footage from the March 2005 UK/European tour. For more details, check out this thread on the Spin Doctors Forum. Now it's official: Spin Doctors live shows can be archived and publically accessed at the great "Live Music Archive" at archive.org. Last week, Spins fans asked the Archive f it was possible. This week, the band (Mark, to be exactly) told Archive.org that it would be okay to host SD shows at the Archive. So - if you got Spin Doctors shows in .shn or .flac format - don't think twice and upload them to Archive.org! Thanks in advance! Here's the permanent link to archive.org's SD site. I also included this URL in the Links section, so it should be easy for you to find all the great shows there. For Spin Doctors news older than March 2005, check out the News Archive.